Comment : Amazing strain..great result..big high. No botrytis cinerea to be seen last year 2018, late Oktober under Dutch conditions. Comment : All of the first ones put in, have grown well. Also bought and used a Royal Queen Seeds propagator, which I also highly recommend to all. 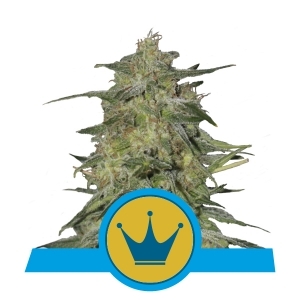 Once you use Royal Queen Seeds, you will never go anywhere else. Comment : 3 of 3 germinated after 2 days, growed strong and healthy, very happy with the results. Title : I feel good! Comment : Thank's Very fast delivery!